In 2007 John Rick Miller visited Colombia for the first time and began the mission: "Colombia in the Hearts of Jesus and Mary". 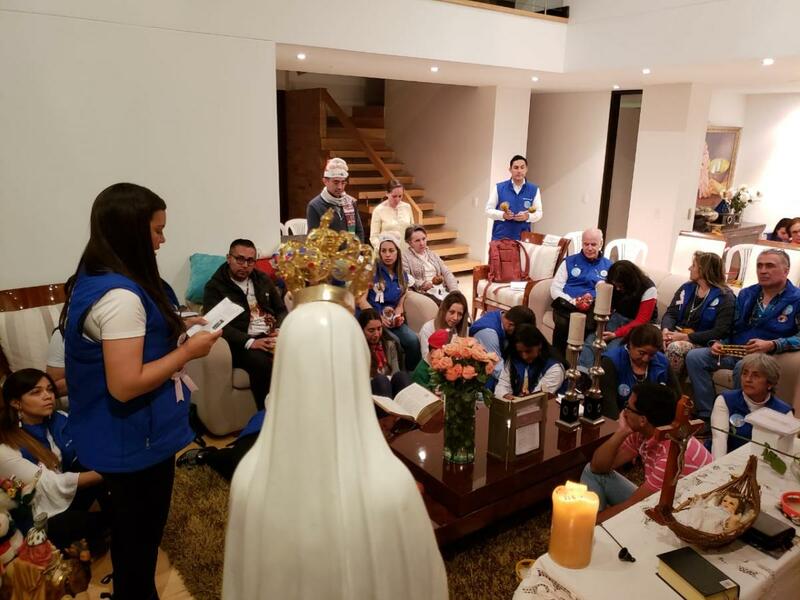 Its purpose was to seek the conversion of all Colombians through the renewal of the consecration of Colombia to the Sacred Heart of Jesus, and for the first time in history, to the Immaculate Heart of Mary. 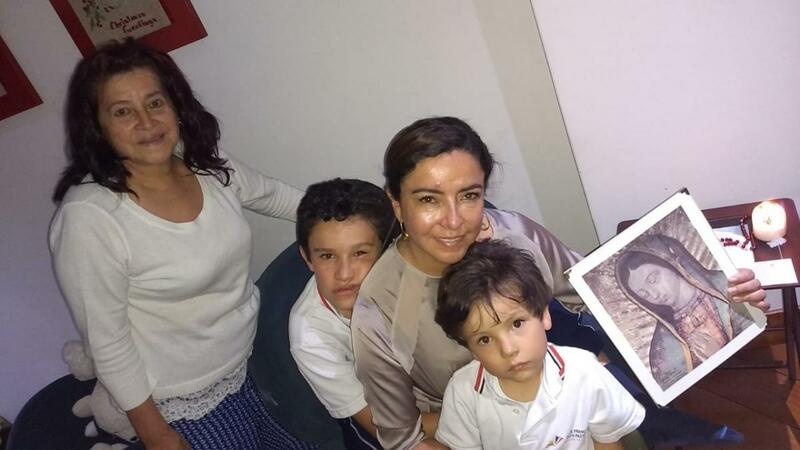 Motivated by this first mission, and following the meeting with John Rick, the then President Álvaro Uribe, his family and some members of his Government consecrated themselves to the Sacred Hearts in the presence of the Apostolic Nuncio on June 11, 2008. 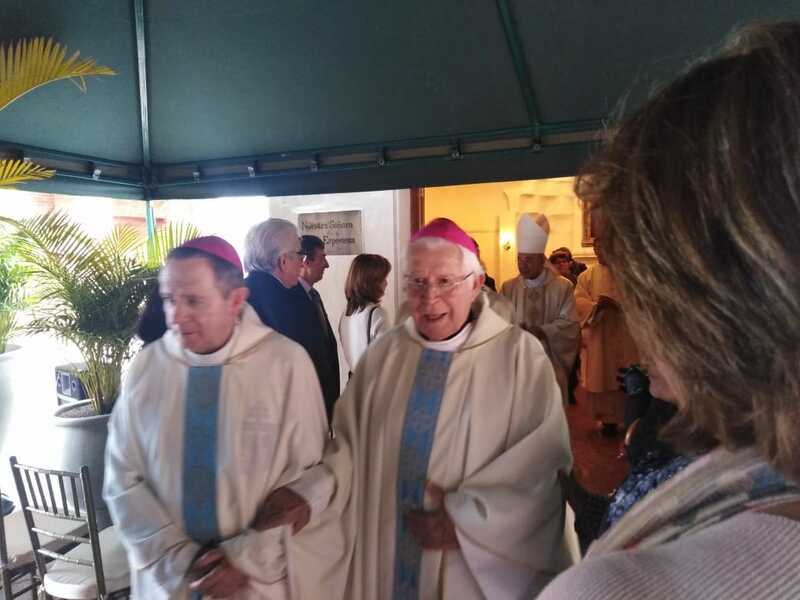 Six months later, on October 12th, Cardinal Pedro Rubiano consecrated Colombia to the Immaculate Heart of Mary and renewed the consecration of the country to the Sacred Heart of Jesus. The aim of this mission was extended to other countries and took the name: Mission For the Love of God Worldwide. From its inception until December 2010 more than 18,000 people had been consecrated and more than 100 prayer groups were formed. That same year, in the month of October, Villa de Leyva hosted the 2nd International Congress of the Mission attended by ecclesiastical authorities such as the Archbishop of Ibague, Monsignor Flavio Calle, the bishops Monsignor Juan Vicente Cordoba, Monsignor Eulises González, Monsignor José Roberto Ospina, Bishop José Vicente Huertas, Bishop Héctor Cubillos and Bishop Luis Felipe Sánchez; as well as priests and members of the mission from Mexico, Ecuador, Canada, United States, Nicaragua, Panama, Peru, Poland and Venezuela. 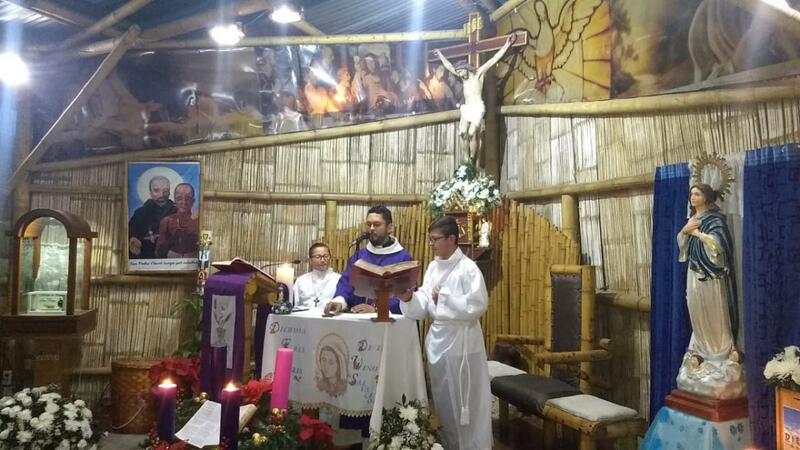 In the year 2011 Bishop Eulises Gonzalez, accompanied by government officials, consecrated San Andres Island to the Sacred Hearts of Jesus and Mary and enthroned a Relic Image of Our Lady of Guadalupe. Subsequently, other Relic Images were enthroned at the Parish of St. Juan Diego, in the town of Bosa after the tragedies of the winter in that region, in Ciudad Bolívar and at the Cathedrals of Zipaquirá, Pasto and Manizales. 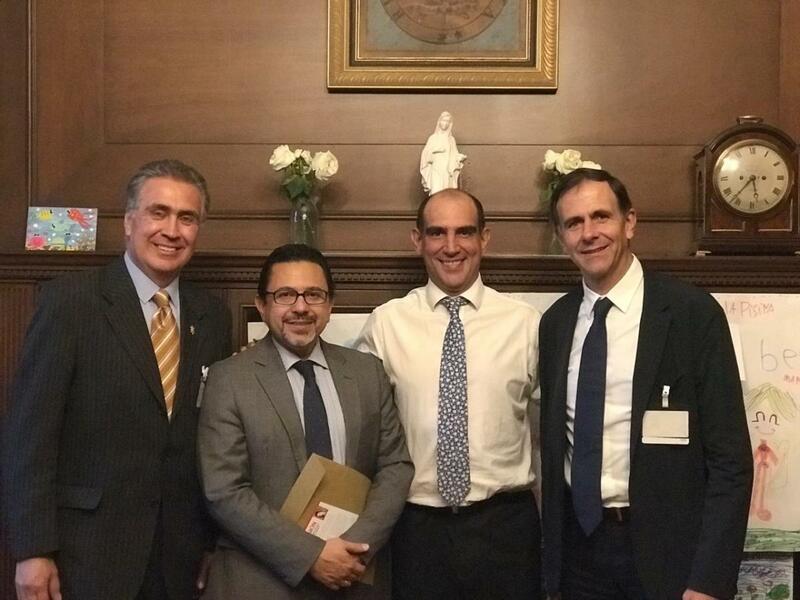 In 2014, the Congress of the Republic of Colombia, through the Honorable Senator José Darío Salazar Cruz honored our founder with the order of merit as the "Grand Knight of the Nation of Colombia", and the Catholic Church represented by Monsignor Juan Vicente Córdoba gave him a plaque of recognition signed by the Cardinal of Colombia Monsignor Rubén Salazar Gómez and 22 archbishops and bishops for his work and dedication to evangelize the people of Colombia in the context of the Catholic faith. 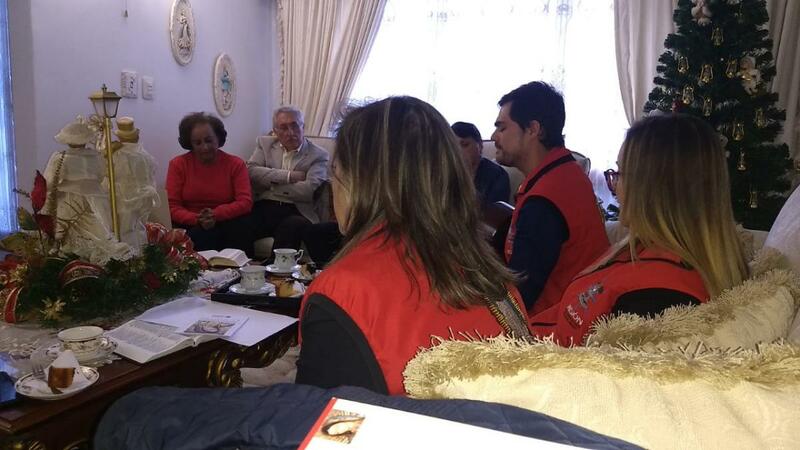 In the past two years, the Mission in Colombia has strengthened in some parishes within the Diocese of Engativá (especially in Cota) and Fontibón as well as in the Archdioceses of Bogotá, Barranquilla and Manizales; preparing, catechizing and organizing the consecrations of Archdioceses, individuals, families, schools and kindred groups such as 40 days for life. We have also worked on the consecration and consecration renewal of parishes, of the country on two occasions, of cities and some local leaders. 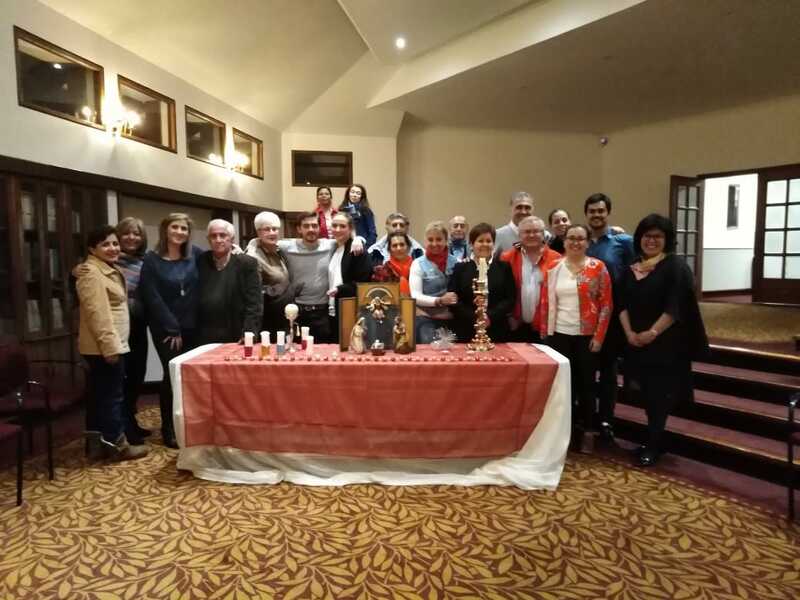 On December 12th, 2018 a group of people consecrated themselves to the Sacred Hearts in Saint Wenceslaus Parish. 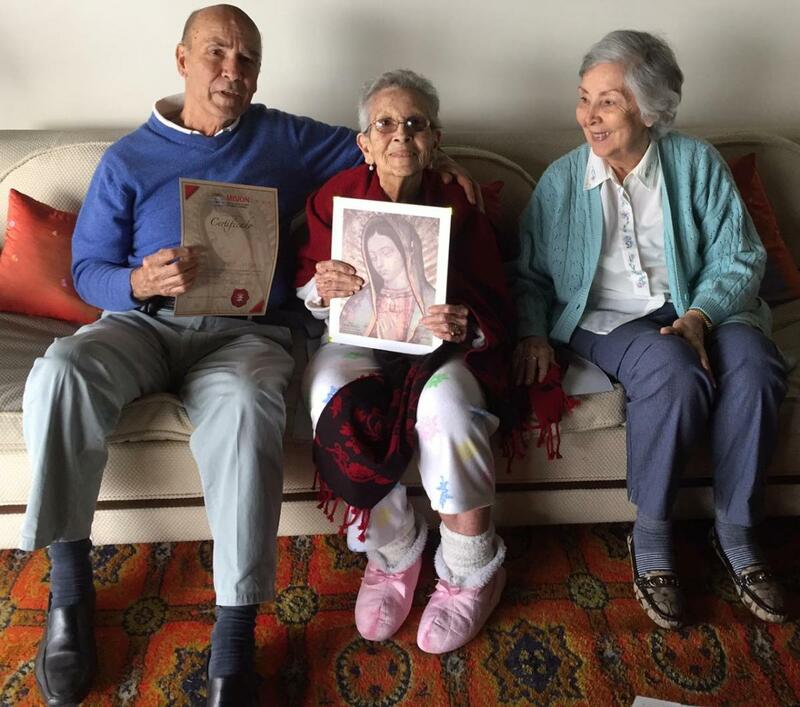 The Casas Herrera family received with much love the relic image of Our Lady of Guadalupe in their home. 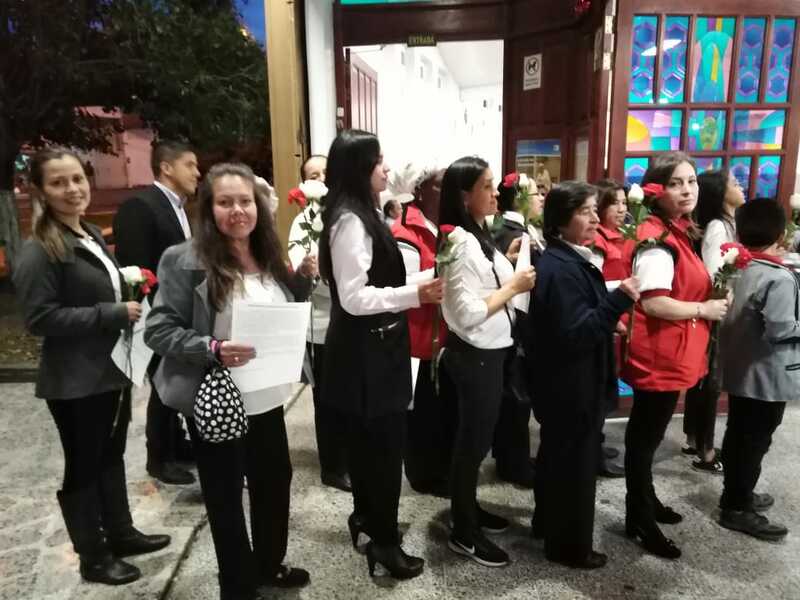 The Christmas Novena of the Mission was held on December 19th, 2018. 23 people attended this beautiful meeting. The Image of Our Lady of Guadalupe arrived at the parish of San Pedro Claver of the Diocese of Fontibón on December 11th, 2018.